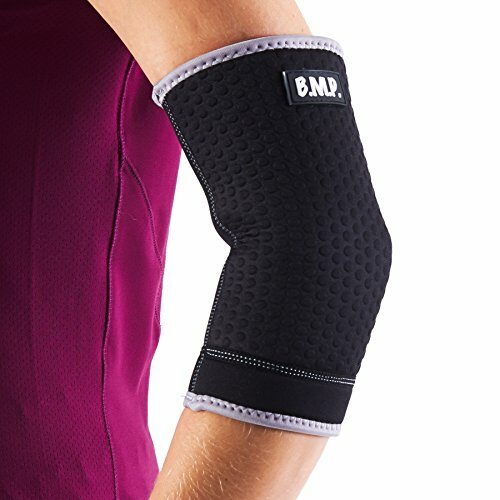 Black Mountain Products Extra Thick Warming Elbow Brace/Elbow Compression Sleeve., Black, Medium by Black Mountain at Atlantic United Soccer. MPN: Elbow Brace Black M. Hurry! Limited time offer. Offer valid only while supplies last. Black Mountain Products professional grade neoprene construction provides the perfect combination of elbow support, mobility, comfort and durability. Black Mountain Products professional grade neoprene construction provides the perfect combination of elbow support, mobility, comfort and durability. This tight fitting and warming neoprene compression sleeve helps maintain joint stability regardless of activity. The soft neoprene construction provides the support required for all physical activities without causing itchiness or irritation. All Black Mountain Products body supports have a full lifetime warranty. If you have any questions about this product by Black Mountain, contact us by completing and submitting the form below. If you are looking for a specif part number, please include it with your message.